Snacking isn’t for the faint of heart . . . well not in my family. Gatherings consist of a holiday-worthy spread, even if it’s just your average Sunday. Having recently returned from the Southern U.S. over the holidays, I’ve been missing the many delicious appetizers we serve. There is one dish I fancy that we don’t have out here on the West Coast. 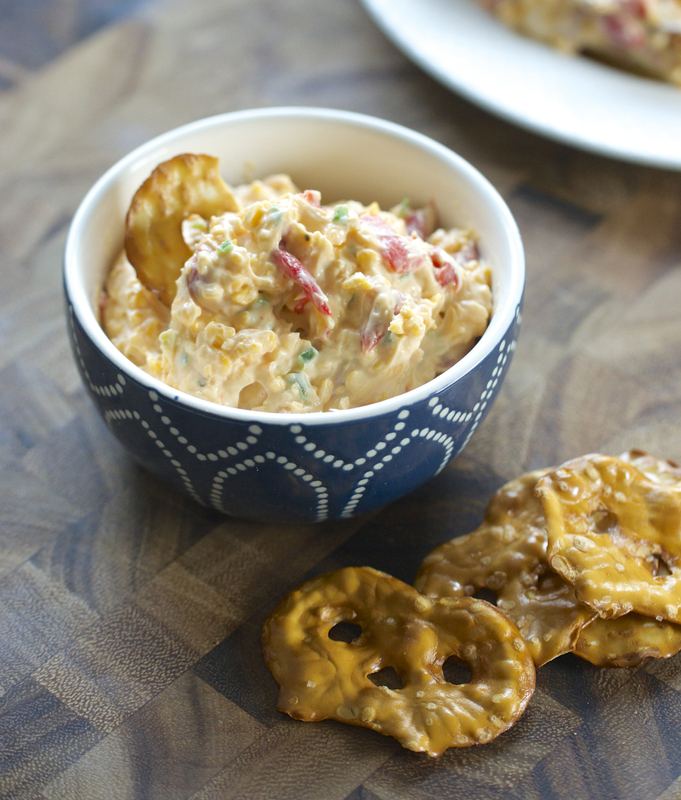 It’s a classic, no-frills and addicting dip—southern pimento cheese. Cold cheeses & pimentos, that’s it? It may seem pretty simplistic, but this spread pairs perfectly with crackers, veggies, and our version will transform into glorious grilled-cheese sandwiches—I think I just heard a choir of angels?!! If you’ve yet to sample this, it’s a great alternative to standard-issue cheese & crackers. Pimento cheese spreads adorn market shelves throughout the South, but stores out here are severely lacking, and so we’re making our own. There are many variations, some using mayo, some sour cream, and in our case—cream cheese. My family buys a prepared version with chopped jalapeños, which offers the perfect punch to this inherently creamy dip. I enjoy mine with a contrast of crunchy pretzel chips. Recently, I made a large batch and wondered how else to serve this (despite eating double the acceptable serving, which may, or may not have already happened). With bacon & sourdough on-hand, I knew what must be done—Grilled Pimento Cheese Sandwiches with bacon. Forget mere dipping, we’ve upgraded to a decadent DINNER! Cold weather, I hadn’t noticed. Cheese is always a winner, what are we waiting for? A classic southern spread of creamy pimento cheese, gets pepped up with some fresh jalapeño and lightened up with the addition of reduced fat cream cheese! Leftovers? No problem, we’re making crispy grilled pimento cheese sandwiches, and not skimping on the bacon! (Before preparation, soften cream cheese at room temperature). Drain jar of pimentos, and roughly chop, set aside. Deseed & remove membrane of a fresh jalapeño (using just about half), finely dice, set aside. In a large mixing bowl, combine all pimento spread ingredients (cream cheese, chopped pimentos, shredded cheddar, minced garlic, mayo, Worcestershire, jalapeño, salt, pepper & paprika), mix until thoroughly combined/smooth (this can be done by hand or in bowl of an electric mixer on low). Refrigerate dip at least 30 mins before serving (serve with crackers, sliced bread, chips, or cut veggies). Cook 2-3 bacon slices until crispy (per sandwich). Butter both sides of 2 slices of sourdough bread, and in a preheated skillet, place slices to brown the first side of each, and also sprinkle the shredded parmesan onto the top face of each slice (we’re ultimately parmesan-crusting the outside of sandwich). Once bottom side of slices are brown, flip bread carefully to brown outside of sandwich. Now add the pimento cheese spread to the top of slices and let heat (~5 mins). To one half add the bacon slices, and then combine halves of sandwich together and let sit on skillet to heat through another few minutes. Serve sandwiches immediately while warm! This cheese spread is super easy and great to make ahead! The sandwiches are a nice variation of the standard grilled cheese and are very creamy & decadent! I like to have them alongside tomato soup on occasion. 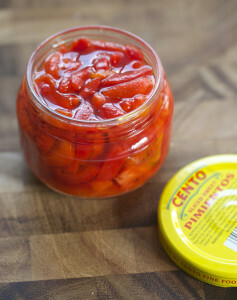 The pimento spread if refrigerated stays good for up to 7 days. The most desirable part of this dish—other than delicious—is how simple this is to make, and make ahead. If you’ve had your fill of celery sticks and pretzel chips, taking the leftovers and making one crispy grilled sandwich with a center of molten cheese lava, and I have no regrets! If you don’t fancy jalapeño, you can easily omit here; however, by deseeding and removing any of the pepper’s membrane, it only lends this spread a little flavor. Until I’m back in the South again, I’ll just have to indulge my fond memories with a homemade batch from time-to-time. 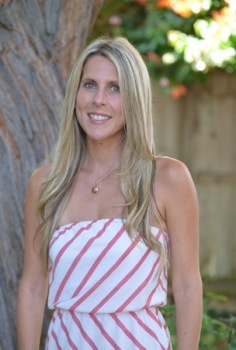 Hoping you will enjoy this one along with me.